No, this is not a faux news piece. I heard this story on PRI’s The World a month ago, Why Germans Don’t Like Bicycle Helmets, and started poking around to learn more. It turns out that the promotion of the wearing of bike helmets, and especially helmet laws, reduces bicycling and the public health benefits of cycling. The best site I found for research: The Bicycle Helmet Research Foundation in the UK. So while wearing a bike helmet might be good for you personally (I always do but even the research on that is questionable), it’s bad public policy to promote the wearing of bicycle helmets. If you’re a parent and insist that your young kids wear helmets, realize that you’re likely creating a strong incentive for them to abandon bike riding when they become teenagers and to see driving a car as the only socially acceptable form of local transportation. 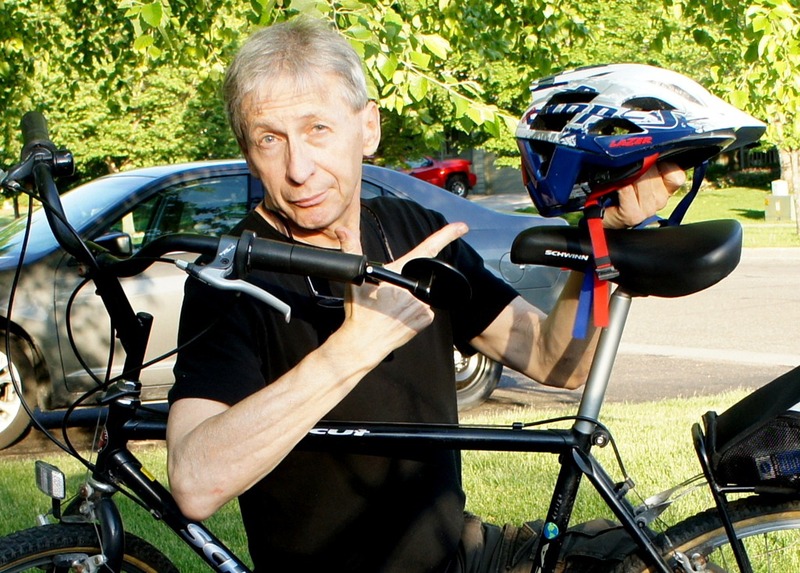 The Northfield Hospital, Northfield Community Services, the City of Northfield, and other organizations in the area concerned with the health and safety of the citizenry should quit the bike helmet safety promotions. 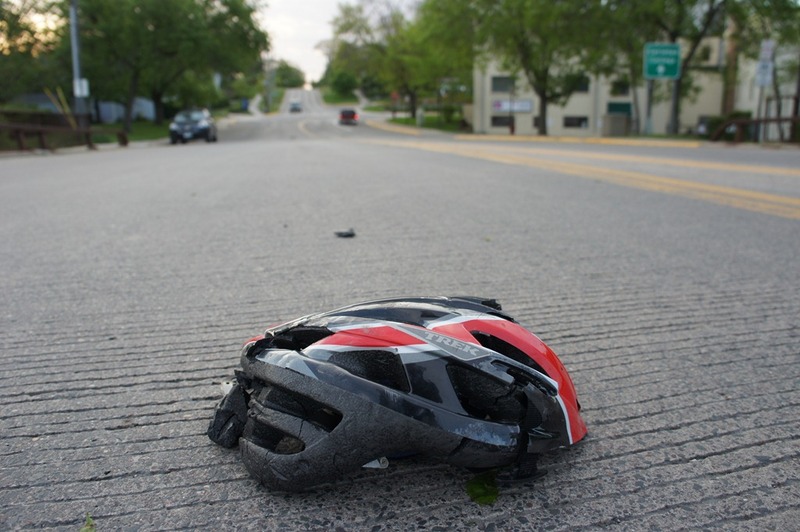 May 23, 8 am update: I’ve changed the name of the blog post from “Bike helmets are bad for the public health of Northfield” to “Bike helmet promotions are bad for the public health of Northfield.” See the discussion below. From the most recent Northfield Public Schools Community Services brochure. Interesting, Rob. I approached the Northfield Hospital stand at DJJD last year (which always sells cheap helmets) to ask if they’d considered selling similarly affordable lights (or perhaps hi-viz gear). They had not, but said they’d look into it for next year. I think this is a better focus, as it has the potential to decrease crashes, rather than just mitigate their impact. And the right bike light system is completely effortless — I keep Reelights on my around-town bike, and never need to worry about batteries or turning them on/off. I’ve been invited to speak about the helmet issue to a class at Carleton in October. They might be interested in examining all the research on the issue and issuing their findings. Griff, you can loosen those Carls up with this video from the Doomtree collective. (Yes, that’s Dessa at 1:20). They seem to on board with “no helmets around town”. …that I’m beginning to come around to your way of thinking. My son borrowed my bike and helmet a while ago, and messed up the straps on the helmet. So now I go out and try to put on the helmet and can’t get it to sit on my head properly, and I end up not riding my bike after all. So, yeah, right now the sorry state of my $45 piece of safety equipment, and peer pressure from helmet heads like Neil and Bruce (whom I greatly respect and whose disapproval I greatly fear) has kept me from riding as much as I would like. Ride on, helmet or no helmet, Rob. It’s all good! (But it’s always safer with a helmet.) I promise to keep my inner helmet Nazi in check ;-). I still spend about two hours a day walking in the Arboretum, Griff, so I’m not too worried about lack of exercise. I feel no pressure to wear a helmet when I’m walking. Rob/Bruce, when you’re a pedestrian in downtown Northfield or in urban areas, might you consider wearing a helmet, if in fact this assertion is true? The European Cyclists’ Federation says that bicyclists in its domain have the same risk of serious injury as pedestrians per mile traveled. I am unqualified to evaluate the ECF’s assertion regarding its domain. However, I do not live and bike in its domain. I do not believe that in MY domain (Northfield and environs) the risk of head injury while walking the streets/trails is remotely comparable to the risk of head injury while biking. As I have repeated ad nauseum, I personally know many people (myself included) who have whacked their heads on the pavement hard enough to have caused serious brain damage sans helmet while biking; I know of none who have done the same while walking. Anecdotal evidence only, perhaps, but it’s good enough for me and my brain. The study found evidence reinforcing a previously reported pattern of a lower crash rate as the city’s bike commuting population rose sharply in the past decade, which has been attributed to drivers being more aware of bikers as they turn out in greater numbers. The bike crash rate is about one-third its 1997 peak, due to that awareness and more designated lanes for cyclists. The crash rate is lower on streets with high volumes of bikers than those with fewer bikers, the study found.